Amerie, is an American recording artist, record producer, and actress. Amerie is daughter of black american military and Korean girl. She debuted in 2002 with the album All I Have, primarily co-written and produced by Rich Harrison, and was well received in the urban market. 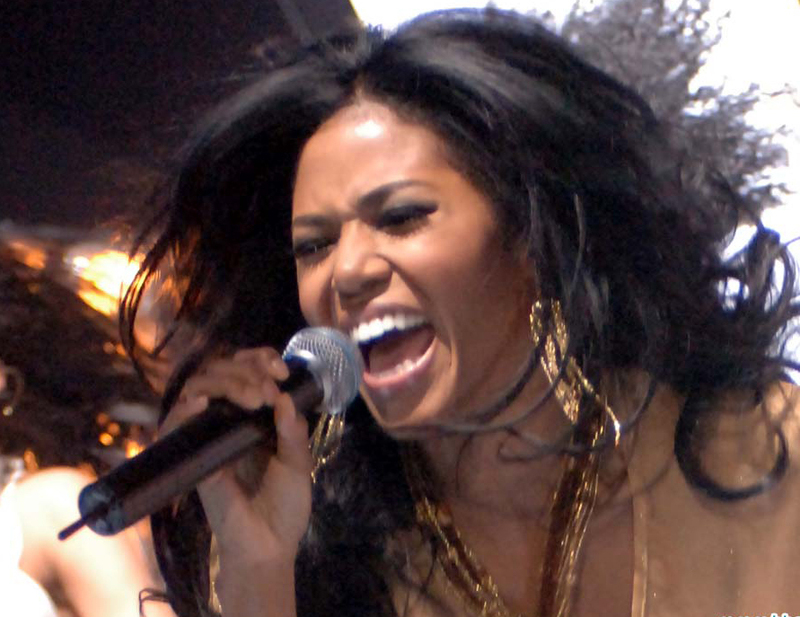 In 2005, Amerie released her biggest hit to date, "1 Thing", the lead single from her second album, Touch, which garnered her crossover recognition and earned two Grammy Award nominations. Her third album, Because I Love It, achieved moderate international success in 2007, although it was not released in North America, and she subsequently left her label Columbia Records. Amerie released her fourth studio album, In Love & War, in 2009, her first album under Island Def Jam. In 2004, Amerie began dating her manager, Lenny Nicholson. They continued their relationship while Amerie recorded her second album, Touch. On March 1, 2010, it was officially announced that Amerie and Nicholson were engaged. The couple married on June 25, 2011, in an oceanfront ceremony in Anguilla.